Gunnar Hansen died on November 7 of pancreatic cancer at his home in Maine, his agent said. He was 68. The Icelandic-born actor was best known for playing terrifying villain Leatherface in The Texas Chainsaw Massacre. The 1974 movie depicts how five friends visiting their grandfather’s country house are hunted by Leatherface and his family of grave-robbing cannibals. 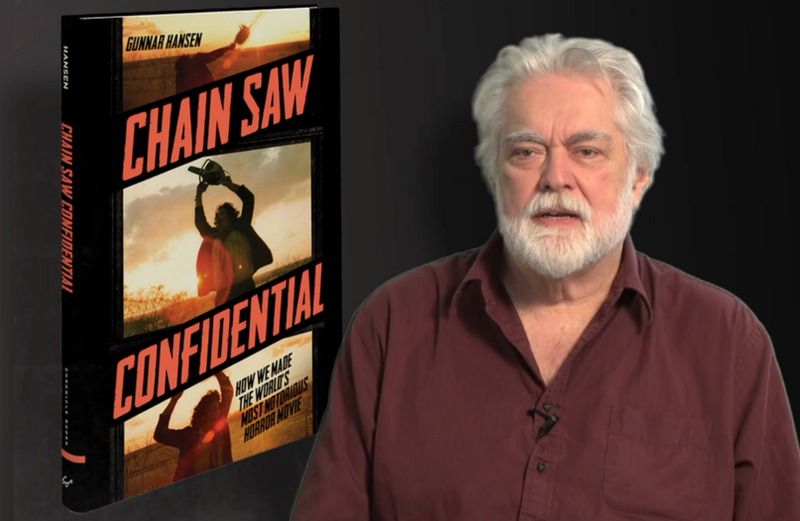 Gunnar Hansen’s character is “one of the most iconic evil figures in the history of cinema,” said agent Mike Eisenstadt. The Texas Chainsaw Massacre, directed and co-written by Tobe Hooper, went on to become a classic slasher movie, which features a psychopath murdering several victims. Six sequels were made, most recently in 2013 with Texas Chainsaw 3D. Reykjavik-born Gunnar Hansen moved to the US when he studied English and Scandinavian Studies at the University of Texas. His agent said that the actor published his book, Chain Saw Confidential, in 2013, detailing behind-the-scenes information on how the movie was made. In the book Gunnar Hansen revealed that the inspirations behind the movie had included the fairytale Hansel and Gretel. A keen naturalist, Gunnar Hansenalso published Islands at the Edge of Time in 1993, depicting his journey along America’s barrier islands from Texas to North Carolina. Gunnar Hansen is survived by his partner of 13 years, Betty Tower.